Fruit Logistica is the world’s leading international trade fair for fresh produce marketing. Held annually in Berlin, Germany, it is the traditional marker of the New Year in the fresh produce business, bringing together more than 3,100 exhibitors from 84 countries and over 77,000 trade visitors from 130 countries. 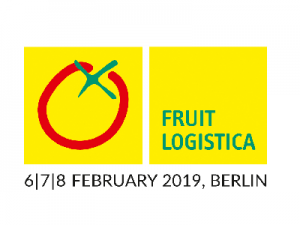 Fruit Logistica attracts a broad spectrum of exhibiting companies, representing all steps in the value chain from production to point of sale. It offers trade visitors the opportunity to gain an overview of the emerging trends, products and technologies in the industry, and forms an excellent platform for establishing and strengthening international business contacts. The event features a full conference and seminar programme.